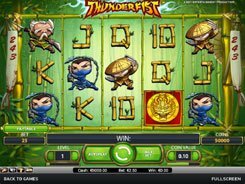 Geisha Wonders is a video slot from NetEnt featuring two progressive jackpots. 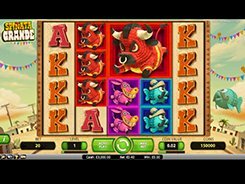 Themed around a Japanese culture, the slot has 5 reels and 30 bet lines. 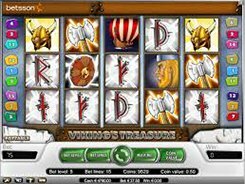 By customizing a coin value, the amount of coins and the amount of bet lines, you can place a bet anywhere from $0.01 to $60 per spin. All the symbols fit perfectly to the theme and include four various Japanese lanterns with hieroglyphics printed on them, a fan, a tea kettle, a bonsai, a koi and a cat. A wild represented by the Buddha symbol has a power to substitute for other non-feature symbols. 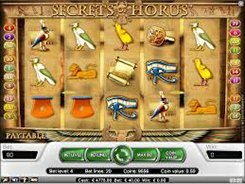 Furthermore, a wild creates its own winning combos awarding your line bet times x5 to x10,000 if two to five of them land on a payline. 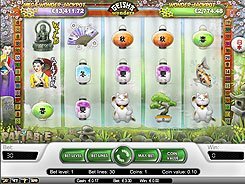 A scatter which is Geisha triggers 10, 20 or 30 free spins with all wins doubled, for three, four or five scatters. 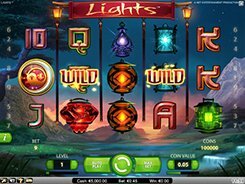 A progressive jackpot is awarded for rolling up stars on the reels. Hitting four stars wins you Wonder Jackpot, and getting five stars anywhere in view wins you Mega Wonder Jackpot. There are no qualification requirements for a progressive jackpot, however betting higher improves your chances of hitting any of the two progressives, the developer says.